Welcome everyone to the final episode of 205 Live before WrestleMania! On tonight’s action-packed hour, The Brian Kendrick faces his protege, Akira Tozawa, one-on-one. Maybe this means Kendrick has taught Tozawa everything he needs to know, or maybe the veteran has some more tricks up his sleeve. This feud has gone on quite a while now and with every passing week, Tozawa looks more stupid, so maybe tonight he gets the ultimate payoff. We’re only 5 days away from WrestleMania 33, which means we’re only 5 days away from seeing Austin Aries challenge King Neville for the Cruiserweight Championship. This match would definitely have been a show-stealing contender but alas it has been moved to the kick-off show. Regardless, that won’t make it any less great, or tonight’s 205 Live any less exciting. It’s unclear if either man will compete on tonight’s show, or maybe they will sign a contract because that’s the in-thing right now. That’s the preview for tonight’s show, in which all the stars will be on red alert so close to WrestleMania. 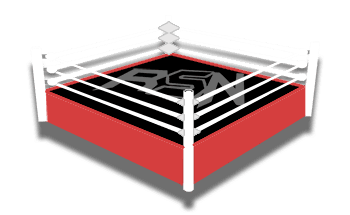 Let us know your thoughts in the comments, download the free Ringside News app, and enjoy the show!